Jolly nice day in Vienna today. We took lots of photos. New places as well as some previously visited in poor weather in last 2 days. I have some decent shots and hopefully they will appeal to people who know Vienna. Coincidentally someone asked for pictures of Vienna at our last show, at Crowthorne in August. 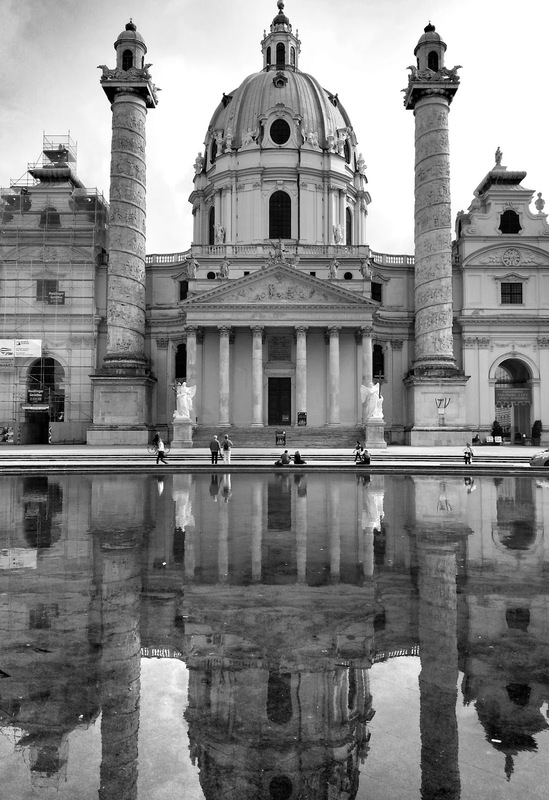 One of the places revisited was Karlskirche, with a reflection today. So many iconic buildings in Vienna have scaffolding and shrouds around all or part of them. Tricky finding angles to avoid the distractions. Jan was pleased too as we found time to visit the Hotel Sacher for the very special Sachertorte. It was excellent, allegedly!